The Full form of SIM is the Subscriber Identity Module, or some people say Subscriber Identification Module. The SIM card is a portable memory chip for your Mobile Phone, Which stores the International mobile subscriber identity (IM IS). Through which you can be identified and authenticated on Mobile Devices. SIM card (portable memory chip) makes you able to make a phone call across any Phone in the world where the network is available. The cellular network provides an ID to the subscriber of that SIM to identify the phone number connected to that particular SIM. SIM cards are transferable from one phone to another. SIM Cards come in many different sizes over the years. First, when the universal integrated circuit (UICC) smart cards were introduced, they were in the size of Credit Card or Debit cards. However, the sizes are reduced over the years, which we will discuss in detail below. The first SIM which came into existence in 1991, it has the size of credit card. To be more precise the size is (85.60 mm × 53.98 mm × 0.76 mm). 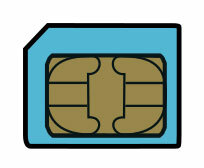 The Full-size SIM cards are supplied embedded in the full-size card. It came into existence in 1996 and reduced in size. 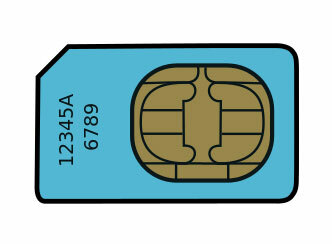 Although it came with the full-size SIM card, now the main SIM is attached by linking pieces to the full-size card. This arrangement is made to make it compatible with devices which require the full-size card and mini-size SIM cards. The Micro SIM came into existence in 2003. 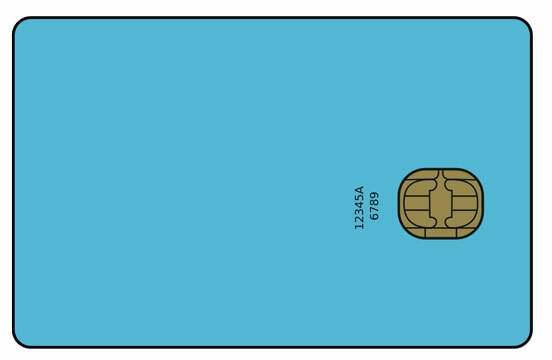 Although Micro SIM has the same contact arrangements, but it is reduced in length and width. This type has to developed because the major mobile manufacturing companies start making smaller SIM readers for which have to cut the plastic surrounding the contact arrangement. So Micro SIM is developed to make it easy for users. In 2012 some service providers started supply Nano SIMs. The Nano SIM is further reduced in size and measures 12.3 × 8.8 × 0.67 mm. The iPhone 5 which was released in 2012 is the first device to get support for Nano Sim. Although eSIM is not widely used right now. But we think in the future it will be more popular its size is 6 x 5 x 1 mm. SIM cards are identified on their operator networks by a unique International Mobile Subscriber Identity (IMSI). Moreover, network operators connect phone calls and communicate with their market SIM cards using their IMSIs. Location area identity (LAI) is an ID given to a particular network area. As the operator has divided its network into Location Areas, each having a unique LAI number. When the Phone changes its position, new LAI is stored to the SIM and send it back to the service provider. SIM can store the SMS and contacts. Contacts are stored in the form of Name and number. How many contacts and messages can be stored on SIM depends on the capacity of that SIM. Earlier we can only store 5 SMS and 20 Contacts and now the SIM can store over 250 Contacts. For the security purposes, SIM has Two type of passwords which protects your SIM card from unauthorized use. Passwords are PIN and PUC. PIN is used to protect the unauthorized access to your SIM or Device. The will ask you for the PIN when you switch it ON. If you enter the wrong PIN for more than three times, the SIM card will be blocked. In some cases, both SIM and Phone got locked. It is also known as personal unlocking key (PUK). PUC or PUK is used to reset personal identification number (PIN) in 3GPP mobile phones. The network provider provides PUC. However, be careful while entering the PUC number, If you enter the wrong PUC eight times in a row, then your SIM card will be blocked and you have to take a new SIM. That’s it. 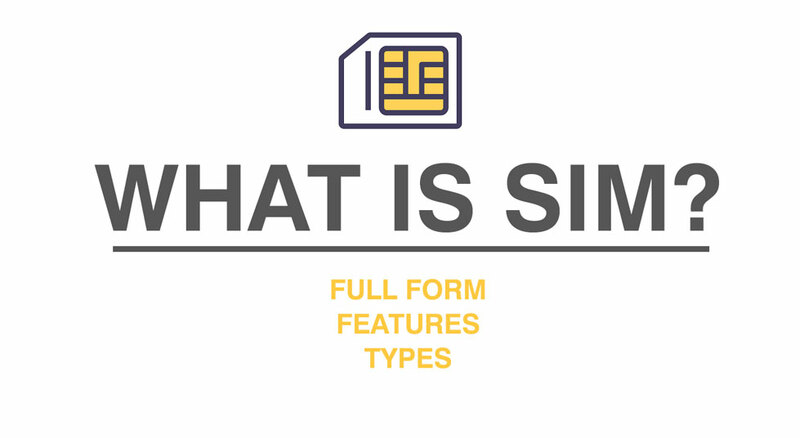 In this article, we try to cover the some use full features of SIM which will helps you understand its working like Full form of SIM, Types of SIM, Security Features, etc.